Are you studying for GCSE Biology? If you are studying for GCSE Biology, you will no doubt be covering Osmosis. Understanding and knowing the topic is essential for GCSE success now that coursework is being phased out! 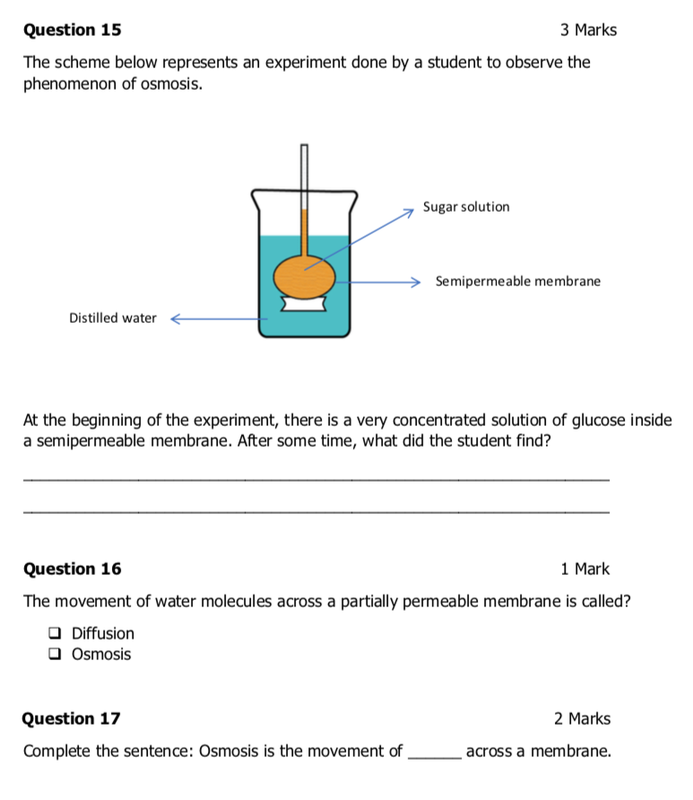 Download and practice exam-style questions with our worksheets. You will get a comprehensive set of questions that cover the topic inside out and help you learn and revise the subject! The questions get more challenging as you progress through the worksheets!